The Cathedral, dedicated to the Virgin Mary' s Assumption into heaven, is an architectural complex of different styles, to attribute to the various stages of construction. It was erected in 1185 by the archbishop Gualtiero Offamilio on the area of a former basilica, which the Saracens had turned into a mosque and has undergone several renovations. During the latest eighteenth century, it has radically remade in the interior because of the project of Ferdinando Fuga. 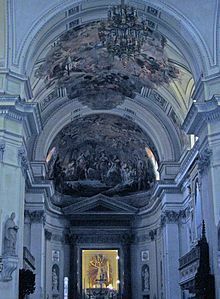 In fact, in 1767, the Archbishop had commissioned Ferdinando Fuga Filangieri a restoration of the building to reinforce the structure. The works began only in 1781, not performed by Ferdinando Fuga, but from Giuseppe Venanzio Marvuglia and lasted until the nineteenth century. The remaking of Marvuglia were actually much more invasive and radical of the Florentine, who thought rather than preserve, at least in part, the complex longitudinal aisles and the original wood ceiling. The restoration changed the original appearance of the complex, giving the church a characteristic but not harmonizing dome, performed according to the designs of the Fuga. In this period, the valuable forum, adorned with statues and friezes, that A. Gagini had raised at the beginning of the sixteenth century was abolished. Even the beautiful majolica cupolas designed to cover the aisles are dated in the work of 1781. 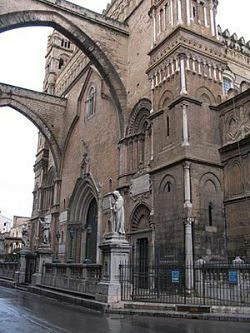 In this cathedral, a synthesis of history and art of the last millennium, in addition to the Norman kings were also crowned Vittorio Amedeo II of Savoy, and Charles III of Bourbon, prominent figures in the history of Sicily. Outside the cathedral is flanked by four towers of the Norman period, and is topped by a dome. It is connected to the south to the Archbishop's Palace with two large pointed arches on which stands the bell tower with the clock. The main facade on Via M. Bonello has many decorations by master masons of the fourteenth and fifteenth centuries. The appearance comes from the presence of Gothic towers and battlements, mullioned windows and arched columns along the right side of the building. The right side, with beautiful norman turrets and Gothic-Catalan style portico were built around 1465. The portal of this entrance is by Antonio Gambara, carried out in 1426. The Lady is a mosaic of the thirteenth century, the two monuments on the walls, paintings of the early eighteenth century, Charles III of Bourbon are on the right, and Vittorio Amedeo II of Savoy to the left. The apse close between the towers is the most original part of the twelfth century. The south-western façade, which looks at the archbishop, is from to the fourteenth and fifteenth centuries. The interior of the Cathedral has had big transformations in the late eighteenth and early nineteenth century. 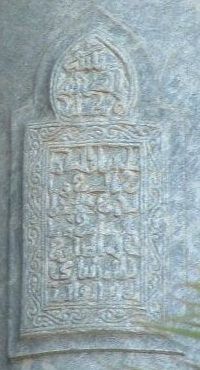 It has a Latin cross with three naves separated by pillars. In the right aisle, the first and second chapel, guard the imperial and royal tombs of the Normans, who turn around a fictional story, also full of curious interest. Roger II, king from 1130, had already decided in 1145 that the Cathedral of Cefalu, which he founded, became the mausoleum of the royal family. For this purpose he established the sites of two sarcophaguses of porphyry, a granite stone coming from Egypt, very valuable for the hardness, the color dark red that, in antiquity, was used exclusively for the imperial commission. At his death in 1154, however, he was buried in the cathedral of Palermo in a more simple porphyry sarcophagus. 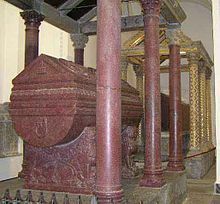 So in 1215 Frederick II had carried the two coffins, for him and his father Henry VI, from the cathedral of Cefalu to Palermo. To the right of the presbytery is the chapel of Santa Rosalia, the patron saint of Palermo, and the urn with the relics of silver, seventeenth-century work of Matteo Lo Castro, Francis Vivian Ruvolo and Giancola, carried in procession during the feast of the patron July 15 called ''Festino''. High artistic interest is the marble statue of the Madonna and Child by Francesco Laurana, performed together with other aid in 1469, the precious holy water, on the fourth pillar, uncertain work of Gagini and the Madonna della Scala, built in 1503 to Antonello Gagini, placed on the altar of new vestry. The Treasury. In some places, its is exposed the Treasury of the Cathedral: church vestments from the sixteenth to the eighteenth century monstrance, a breviary illuminated manuscript of the fifteenth century, the tiara of gold Constance of Aragon (taken from his tomb), a magnificent example of medieval jewelry enamels, embroidery, pearls and gems. Other precious objects, enamels, embroidery and jewelry are on display in the showcases plants. The crypt. From the left side of the cathedral will access the vault with vaults that stand on granite columns: this place of great beauty contains the tombs and sarcophaguses from the Roman era. Among the celebrities who reside in the crypt, there is Archbishop John Paterno, 11, the patron of Antonello Gagini, died in 1511, which he carved the lying touching figure. 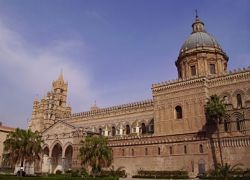 The excursions to the Cathedral of Palermo are made throughout the year.